Darius Gilmont has lived in Israel since 1993. He began working as a professional illustrator while still in high school, when he illustrated a book about Modern Jewish History, but he didn't regard art as a viable career and went on to study architecture at university. 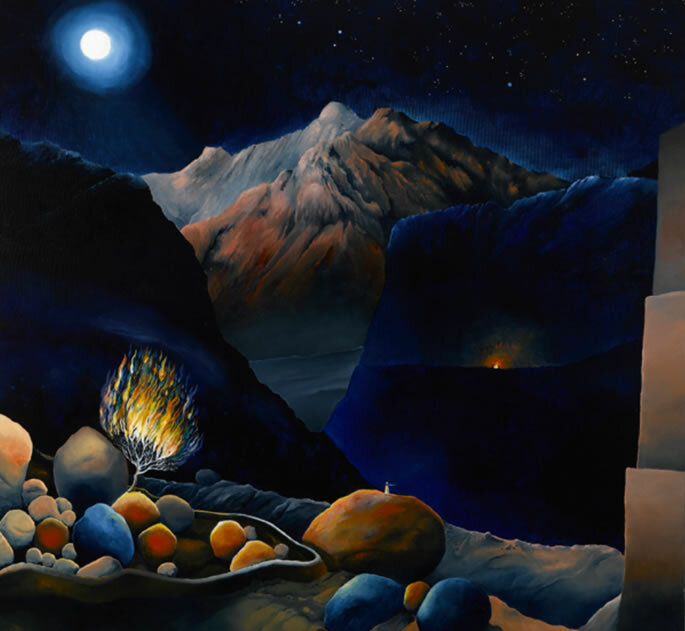 Later, after moving from London to Israel, he spent a summer in the Sinai desert, a powerful experience which led to making art on Biblical themes, which continues to be his main artistic preoccupation. Appreciating Darius Gilmont's artistic talents Darius, shalom! Your work is so unique and powerful. It was a pleasure working with you in Ra'anana a number of years ago. Michael - how nice to hear from you! I enjoyed working with you too! Hope all is well with you. Chag sameach.